Quiet week with a good result and cunning plans….. It has been a quiet week in the sense there have been no Service User sessions. Instead we have been doing some sorting out and planning for the future. 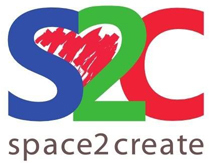 Space2Create has grown and changed quite a lot since it first started. One of the problems we face as a voluntary organisation is that volunteers come and go. Nothing bad about that. We always intended that Service Users would come to us for help, we help them regain self-esteemand confidence, get used to being in groups and socialising. Over time they would take on some jobs and start to help run S2C, become a volunteer. When they are ready they move on, sometimes volunteering somewhere else, going to college or even getting a job. Brilliant. Exactly what we want. Others come to us without any health problems but maybe because of life changes, moving areas, divorce, bereavement, redundancy etc. They often have valuable skills but again when they are ready they move on. Similarly with students looking to gain experience before a course. That is all great and we take great pride in the way lots of people move on to new and better lives. The difficulty comes in maintaining enough people to run the organisation safely and within regulations. It fluctuates. Sometimes you have lots of volunteers and sometimes not many. When there are not many that puts a strain on a small number of people holding the most responsible roles. At all times we have to ensure our Service Users are safe. We have recently concluded that as we have grown we are facing a choice as to not change is unviable. So we either go backwards and shrink or we move forwards and take a next step. The next step is what we have been discussing. How to preserve the unique atmosphere and positive experience at S2C yet take on a more formal role. The provision of healthcare is undergoing many changes at the moment with a move to have more support available in the community. It is this we are looking to be part of. To grow, have one or two key roles initial as paid rules to ensure continuity and consistency and expand what we offer people. Tricky. Not so much a cunning plan and more of an essential one! Watch this space! I must also comment on the great news that Kentmere Ward is to be kept open. Many thanks from all at S2C who supported the campaign to save the ward and also took part in the public consultation which helped change the decision to close it. The challenge of change in an ever changing bumpy playing field. Managers Blog: The challenge of change in an ever changing bumpy playing field. Change is a daunting prospect for all of us at the best of times. For those coping with a mental health problem that can be multiplied and magnified by the illness. There is a lot of stress around at the moment from many different directions in the world- terrorism, Europe, politics, the economy, social tensions- all these on a constant drip feed from twenty four hour news takes its toll. At Space2Create we have definitely experienced a rise in the number of people we see very stressed and effected in a negative way. So with this much anxiety one wonders if any change to S2C the organisation is possible. I always remember when we first started S2C. We did when a charity called Workbase had to close and there was much anxiety and stress around the loss of its support. Some volunteers there came together to create S2C. One thing that always stuck with me is the service user who used to be at Workbase coming to our unit at The Factory nearly four years later, stopping for a session and then leaving saying “It’s not Workbase”, then hardly seen again! Change is inevitable. An organisation like Space2Create which has developed and been relatively successful at what it has set out to do needs to be ready to change to meet the needs of the community it serves. From very small beginnings, in the upstairs room of a church once a week with ten people, to having its own premises and attracting over 100 in various ways on average a week. As S2C has grown it has become more complicated to run. There is more to do to ensure compliance with regulation and the protection of service users. Ensuring the building is fit for purpose and that the sessions are safe. Then there is the wider need in the community. Ensuring that S2C is providing something that is relevant and needed by those in need. We are facing a change in healthcare as pressure on the NHS results in targeting of resources and new approaches. There is much talk of community being the key environment and social prescribing. Being part of this and there for the people who need you is difficult to do without careful thought and planning. This week at S2C we are having a session break. There are no sessions for Service Users (in itself difficult because of how it affects people) but the volunteers will be talking, planning and looking ahead at ways to make S2C better. I have spent the last few months working hard to meet and talk with people to start and pull together a plan for change that will hopefully result in S2C being a very positive presence in the local community for the support of it’s most vulnerable alongside the many other charities and groups doing an excellent job in Kendal. Today we looked to Jasper Johns stacked numbers and letters for inspiration. Either using large letter templates or freehand we first drew letters overlapping and on top of each other. Whole words or phrases can be stacked. Then we used pens to colour sections. With time you could also add extra lines and colour splashes as shown by session leader Mat. A fun session. The group were also looking a Keth Harding using the style of simple figures to create colourful pictures. A busy group today with lots of people in and out for a chat. Lots of individual projects and the main activity of creating water themed fabric collages. The group were inspired by artist Keith Harring. We looked at using the simplified figures to recreate local life or our lives as well as more surreal situations. These turned out bright and cheerful using markers and felt tips. Five ways to well-being? Welcome to the order of the sixth way! Managers Blog: Five ways to well-being? Welcome to the order of the sixth way! Most people involved in mental health and the promotion of well-being will be aware of the five ways: Connect, be active, take notice. keep learning and give. At Space2Create we cover these. Wow do we cover them! Connect: all our groups are social, mutually supportive and fun. People talk, laugh and meet new people in a safe and welcoming environment. More than that we engage people coming to S2C with projects in the local community making links to many organisations, businesses and opportunities. Be Active: People, by the very act of attending sessions. are getting out and doing. Beyond this we are working on projects to work in the local area on creative activity outdoors tied to gentle excercise. Keep learning: By coming to sessions people learn about a wide variety of creative skills and techniques, about artists and their work. There is also the social learning that goes on as people who have been isolated learn to be around people again. Our service users who start volunteering learn new skills to do with the running and management of the charity. Take notice: The very act of creating takes a degree of looking at and taking notice of the world. More subtly is the awareness of how each other are and being aware of whats going on around them. Give: At the very core of Space2Create is the philosophy that the organisation is run by people with problems for people with problems. From the top to the bottom, the longest attending to the newcomer, everyone at Space2Create is giving to those around them. Be it a kind word or support, helping and advising, giving time to volunteer and many many other small acts. I would argue the case for a sixth way too! Be Creative. Just as all the other five ways have been researched and shown to boost well-being through evidence based research there is a growing amount of research that shows how creativity helps well-being. Creativity is the daily bread of Space2Create! It is distinct to the other five ways. There might be the argument that it has elements of the other five but for those of us that have used creativity as a way to fight and recover from serious mental health issues there is a sense of just how different it is. Being creative brings a focus, peace and calmness to the mind. It cuts through turmoil and eases, distracts, balances. At times it can be a conduit where the painful is channelled out and onto paper or canvas. So lets talk about the six ways to well-being. We certainly will at S2C. The group today were using chalk pastels to recreate water drops. Using a dark,I’d and light shade of colour along with white for highlights. When drawing and shading you need to think which direction the light comes from. Lots of projects going on in the Thursday Group. Oragami boat making, Croatia hat, sewing, fabric collage, mirror frame decorating and fabric coils. The group were making fabric pictures from old pattern books full of samples for lots of material designs to cut up. The group looked at using blocks of colours and shapes to produce very striking abstract images. First dividing the paper into shapes such as squares, rectangles and triangles then painting avoiding putting same colour shape next to each other. Finally some outlined the edges in white or black. A right pain in the……. Managers Blog: A Right pain in the……….. Pain is something I get quite agitated about. I know from personal experience that living with constant pain that just does not go away or let up is one of the most debilitating experiences you can have. But what makes me really cross is that section of society that seems unable to accept a person is in chronic pain unless they are writhing around screaming with a three foot long gash pumping blood everywhere. Some of the bravest people I know bear serious chronic pain while attempting to live normal lives. They look after their children, take them to school, shop, keep homes and attempt to have a quality of life despite the pain. They don’t have a little sign floating above their head saying “In Pain”, they don’t move round going “Ahhh” or “oooh”. They grit their teeth and push on regardless because the alternative is nothing. The alternative is to drug yourself up to the point you have no life. You are so numb or spaced out you might as well not be there. But lets get this straight. for these individuals the pain is not going away. It is not a few weeks or moths. Its years and in some cases a lifetime of pain to manage. Painkillers often loose their effectiveness as you take them regularly so in a lifetime of being in pain as you get older your pain relief options become more limited. Sometimes it just gets too much. In constant pain sometimes you lose it. It can come out as real anger or self harm. It can be a real emotional outburst with floods of tears. So please understand that the person struggling in front of you hasn’t just had a bad day or bad week. They may have been struggling on constantly for years. Respect their courage for getting out and about, for attempting to live their lives. Be there for them to support them and when that outburst comes along be there to support them and be with them in a positive way because in a world full of crap just one person showing some understanding can make a world of difference. Many people who come to S2C have this kind of issue. We aim to give them a bit of understanding, a bit of space for themselves free of any judgement. The group looked at creating shattered images. Taking a picture cut out and stuck on card we cut it up. We looked at shattered glass to try and copy how it breaks. We then assembled the pieces to suggest they were shattering and moving. Finally we added lines, colours and splats to complete the images. The group were looking at still life paintings by Picasso and created some of their own. We arranged some objects then drew them in a way that morphed or altered the shapes before painting with acrylics. Lots of different projects on the go again including finishing off our synchronised swim team wooden models, decorating large mirrors for the bathroom, drawing up planning application plans, framing textile work and drawing water themed pictures. All go! The DeafArt group also had a go at creating images in the form of shattering glass. One of the things that I always find myself standing back and smiling about during Space2Create run sessions is the atmosphere within the group. All around me are people who are really struggling in their lives with a host of illness, physical and mental (or both), being creative, talking, laughing and putting aside their problems. Then as you focus in to individual conversations you realise there is another level going on. They are helping, supporting and encouraging each other. Mutual support. togetherness, support and understanding. It doesn’t have to be done with a serious face in a private room with a one to one session. The cause of their troubles may be very different but the need to not be alone with your problems and to be supported regardless is priceless. This does not happen by accident. First of all there is the creative activity which unifies the group in its purpose and gives it a common agenda. But importantly, among those unwell people.. are the volunteers. They are there to help, listen, encourage and be creative alongside and with the group. They are not separate or different but just part of the group. Thanks to the volunteers who come the sessions are inclusive and have a sense of normality about them. Sometimes volunteers feel like they have done nothing. Had a good natter and painted a picture! Actually they have had a massive impact on normalising a persons day who may be in extreme pain, close to despair and feeling very isolated. At Space2Create we have no rules about who you are. You are welcome regardless of age, colour, ethnic origin, illness, past history, political beliefs, ability, sexuality. We are all made equal by the need for support. All we ask of people is that when they come they also respect that everyone is different, that people might not want to share their life stories and that you are tolerant and understanding of each others needs. Talking of volunteers. We are always looking for volunteers but our volunteering will be changing soon. Considering we started as a small group in a back room once a week and now often have over 100 people through the unit each week the demands on volunteers have changed. In order to meet the needs of service users and the organisation we are looking to move to having volunteer roles with clear descriptions of the roles. Although we are totally voluntary at the moment I can see a point where some roles will slowly start to get paid as we grow and develop what we do. In the near future we will start advertising volunteer roles so keep an eye out if you would like to take a hand in developing the support and organisation of Space2Create. A quiet week at S2C with only a few groups running! The group had a good laugh today coming up with a weird and wonderful joint installation idea for the upcoming water themed exhibition. The plan was to dress our small wooden manequins in a range of swimwear through history to create an off the wall synchronised swimming group. Some were also making little mini dresses on mini coat hangers. The group were being inspired by some flowers today. Some went quiet abstract with chalk pastels while others were more accurate making pencil sketches. Other ongoing projects involved lino cutting and arranging cut out sheep!